Welcome to Hale Mana, one of Kauai's most beautiful island treasures. This stunning three-acre private estate will bathe you in every luxury with its beautifully appointed amenities, secluded beach, and tremendous ocean views. If you are looking for Hawaii's best location for a romantic escape, family reunion or corporate retreat, you have found it in Hale Mana. 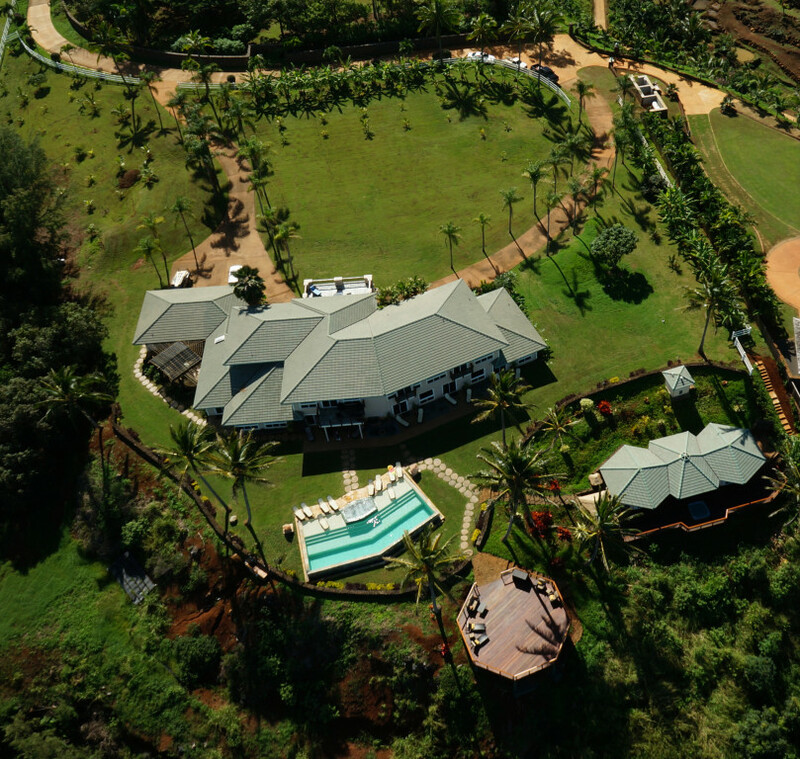 Welcome to Hale Mana, one of Kauai's most beautiful island treasures. 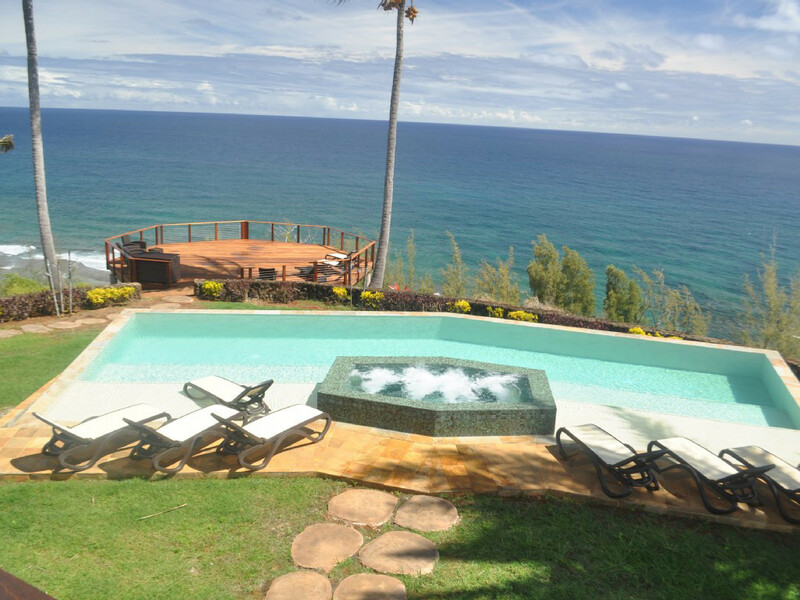 This stunning three-acre private estate will bathe you in every luxury with its beautifully appointed amenities, secluded beach, and tremendous ocean views. 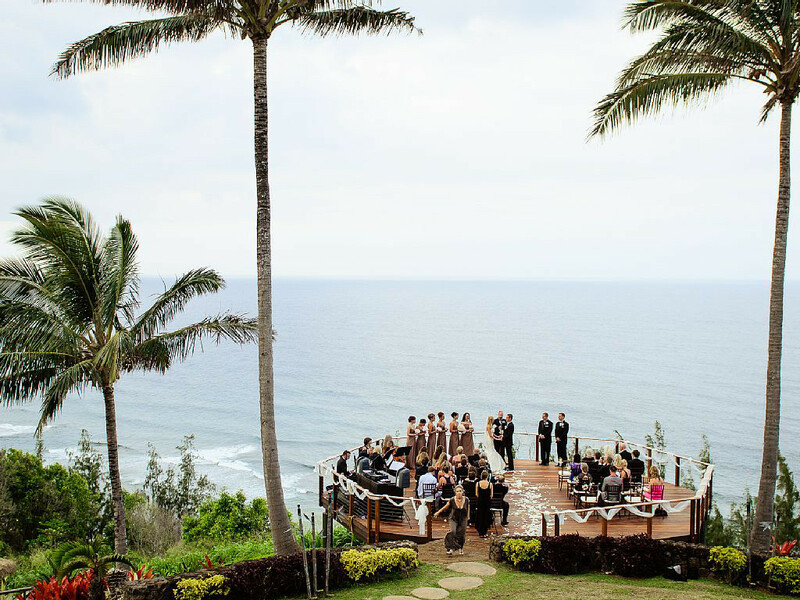 If you are looking for Hawaii's best location for a romantic escape, family reunion or corporate retreat, you have found it in Hale Mana. Perched on the Ocean Bluff of Kauai's North Shore, Hale Mana's 10,000 sq. ft home Features Five Bedrooms - all Suites - a gated entry estate, gourmet chef's kitchen, yoga deck, Swimming Pool with infinity edge and built in hot tub, pilates studio/weight room, steam sauna, library, media room, and even a seven foot Amethyst Gourd once housed in the Smithsonian Institute. 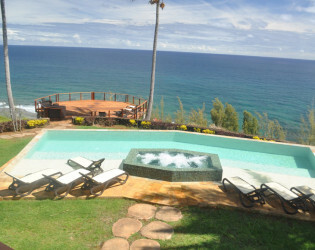 Breathtaking and incomparable 'Pleasure at its Finest,' Hale Mana offers awe inspiring views with luxurious comfort. 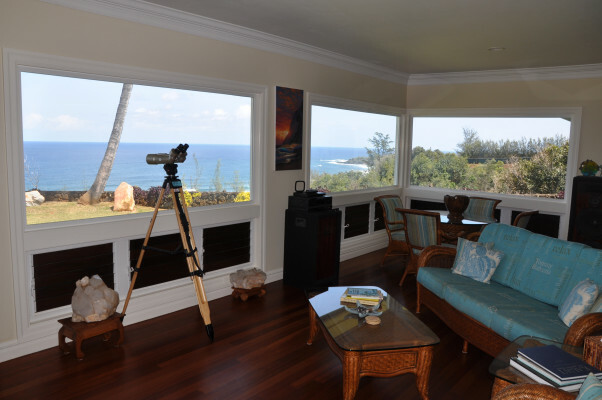 As the premier vacation rental on Kauai’s North Shore, our staff at Hale Mana can arrange every detail of your retreat through our full-service Hawaii vacation package. Imagine enjoying a personal chef and a private guide to our island paradise. 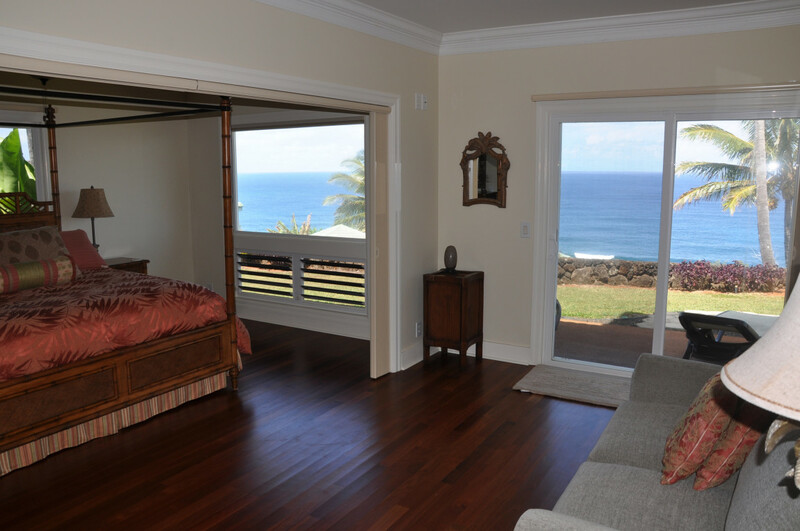 Whether your Kauai activities will include scuba diving, golf, and fishing, or whether you simply want in-house massage, facials, or private yoga classes, we can create a custom retreat for you. Your privacy, serenity, and security is assured. 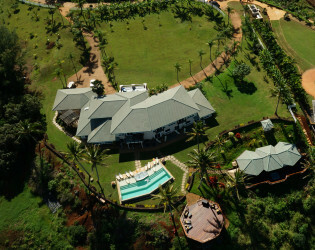 Our celebrity and executive guests all agree that Hale Mana is a luxury Kauai vacation rental not to be missed. Hale Mana Estate must be rented for 5 nights. 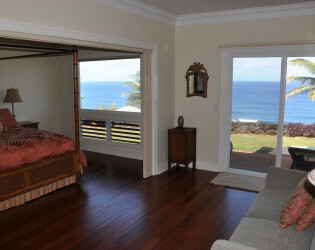 Hawaii State Taxes are 13.25% of the rental rate. 5 bedrooms with pool and ocean ocean views. 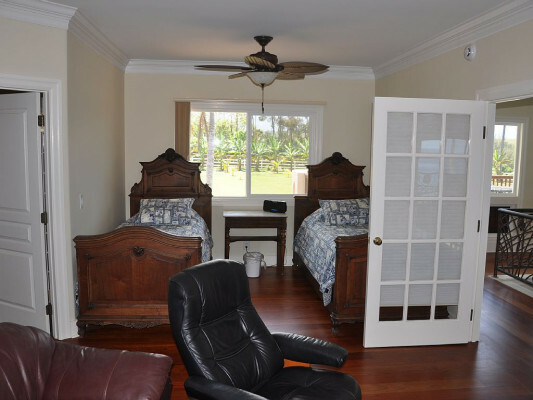 One bedroom is a spacious master bedroom, 3 rooms are junior suites. 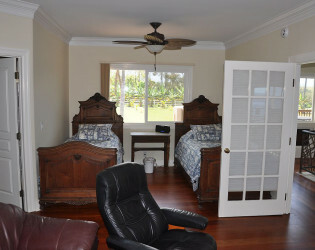 All bedrooms have cal king beds. 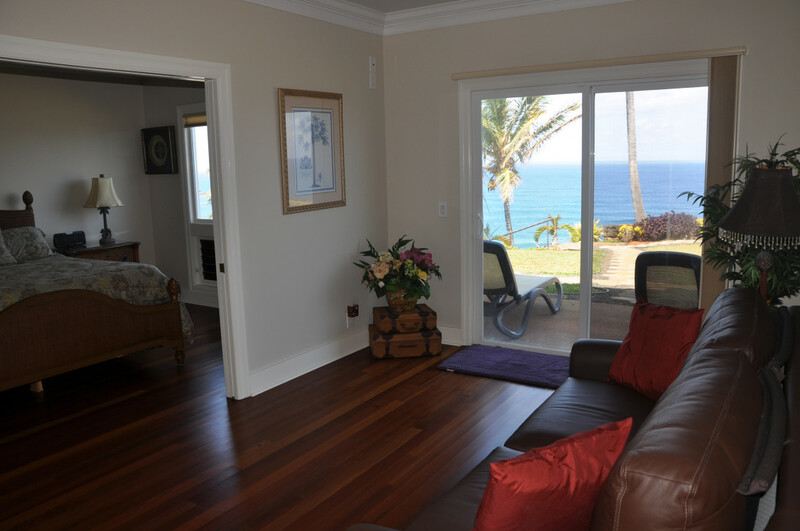 I have managed Hale Mana for 5 years and I take personal pride in the quality of the home and property. 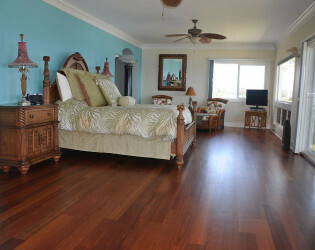 Many of our guests have said that renting the home is like renting a private resort. 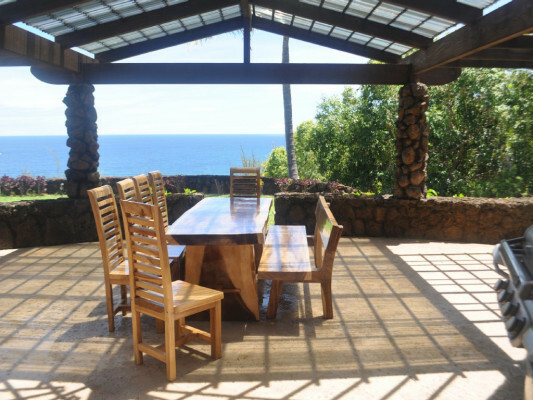 Hale Mana was built in 1999 with a spacious floorplan design. There are unique crystals and large geodes throughout the home. 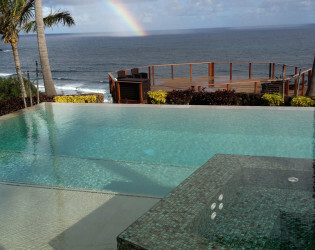 This includes two huge rose quartz illuminating crystals on either side of the swimming pool. 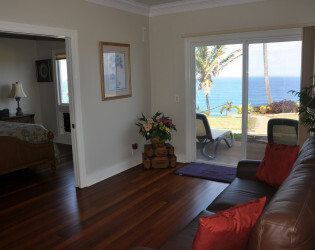 The home has many pieces of original art done by a well known artist in Hawaii. 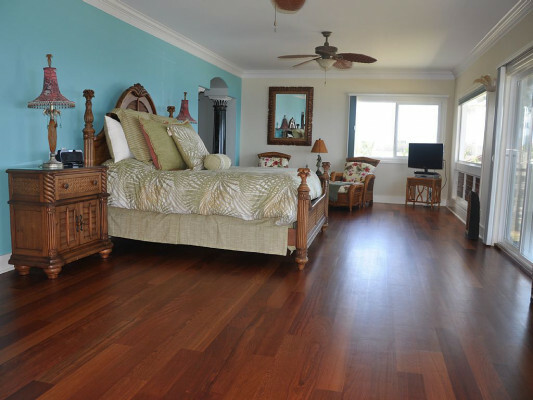 Most of the house has gorgeous hardwood floors and there are numerous custom painted columns in the house. The home at Hale Mana is luxuriously appointed which makes it both comfortable and elegant. However, it is the infinity edge swimming pool and breathtaking observation deck that are most appreciated and enjoyed by our guests. 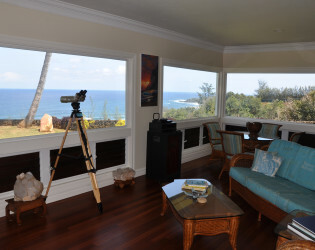 The private setting with awe-inspiring views is ideal for groups who want to enjoy the magical beauty of Kauai without crowds or unexpected interruptions. The property is personally managed by myself, Thomas Beebe, and I bring a helpful collection of local knowledge and contacts, thorough property knowledge and 20+ years of handyman experience to help resolve any potential problems quickly. The property also offers a 3,000 square foot spa center with weight room, outdoor kitchen and steam room. 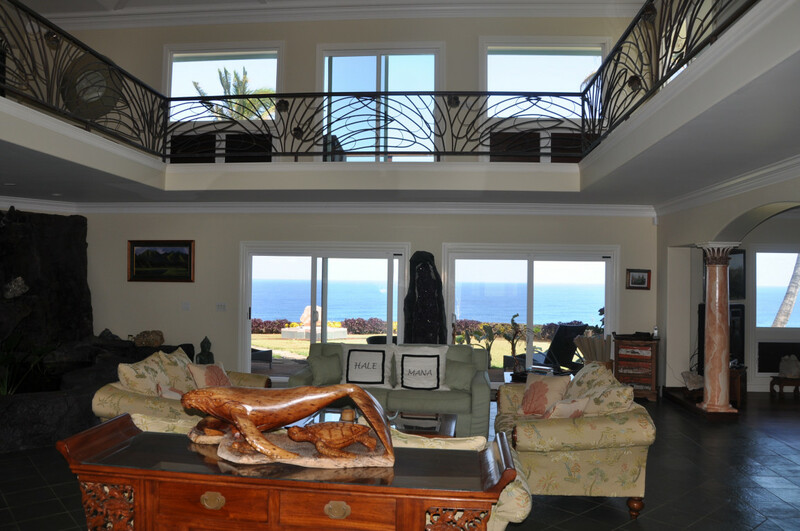 Awards & Notables Hale Mana enjoys a long list of positive reviews from guests who have stayed with us for family reunions, weddings, birthdays and health retreats. 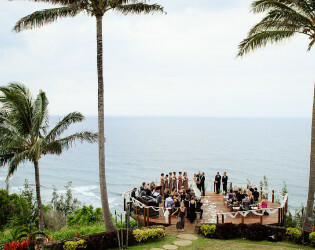 We have had many private chefs and caterers serve food at the property. This stunning three-acre private estate will bathe you in every luxury with its beautifully appointed amenities, secluded beach, and tremendous ocean views. 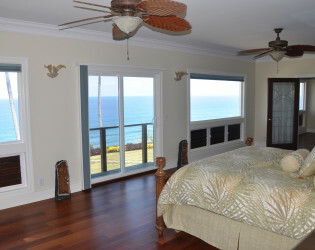 Upstairs main master bedroom with expansive ocean views. Great room with ocean and pool views. Sitting room adjacent to kitchen. 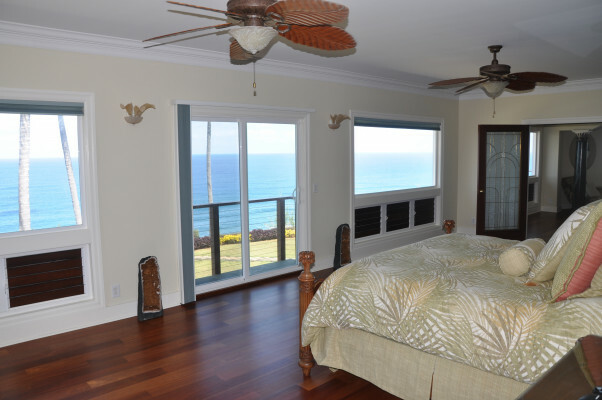 The home at Hale Mana is luxuriously appointed which makes it both comfortable and elegant. One of the junior suites on ground level. 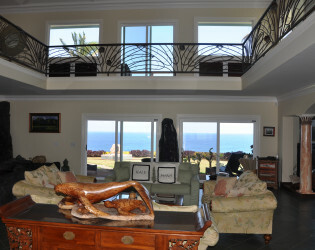 Another of the three junior suites with pool and ocean views. 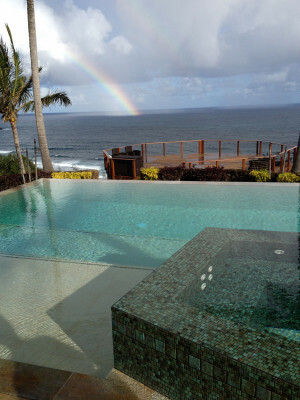 View from pool toward ocean with rainbow. Aerial view of the area looking west. Aerial view of property looking toward mountains.